Although mobile games can be addictive, not all of us have time to explore and discover new games. With thousands on offer in the Play Store, reading the reviews then downloading each to sample isn’t exactly ideal. The GameOn Project wants to be a Pandora for mobile games – by building a list of your favorite games, the algorithm will recommend other games that you might enjoy. 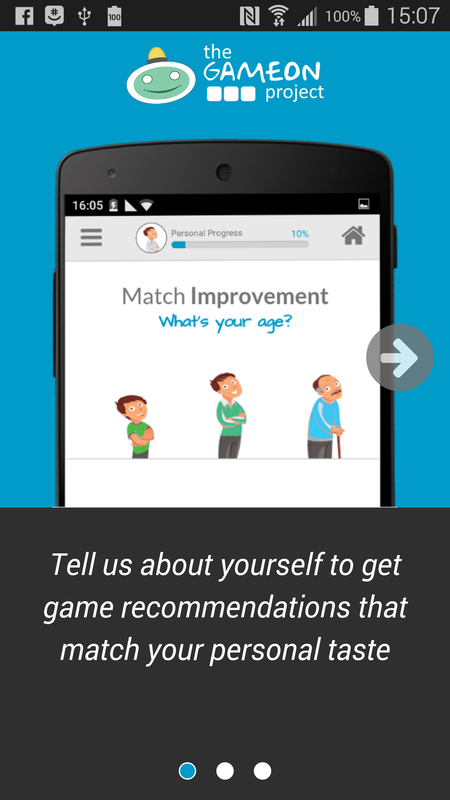 To get started, the app asks you for your gender, your age, then to list three favorite games (you can add more as you play more or remember old game titles). I’m generally gravitate toward puzzle games, so my entries were Two Dots, Elevate and Plague Inc.
You can narrow down search results, such as “Play With Friends” or “Free Games Only.” I opted for something free, since I don’t plan to play religiously. GameOn’s results displayed some classic titles geared toward puzzle lovers: Candy Crush, Cut The Rope, Temple Run. There was also a bizarre game called My Talking Tom which consists of a giant, bright-eyed cat that you get to adopt and raise. It was actually a bit jarring to me that people older than 9 played something like this, but to each their own. While GameOn got the general premise of what games I liked, it didn’t always take into account the visual graphics behind the game – which, to me, is a primary draw. 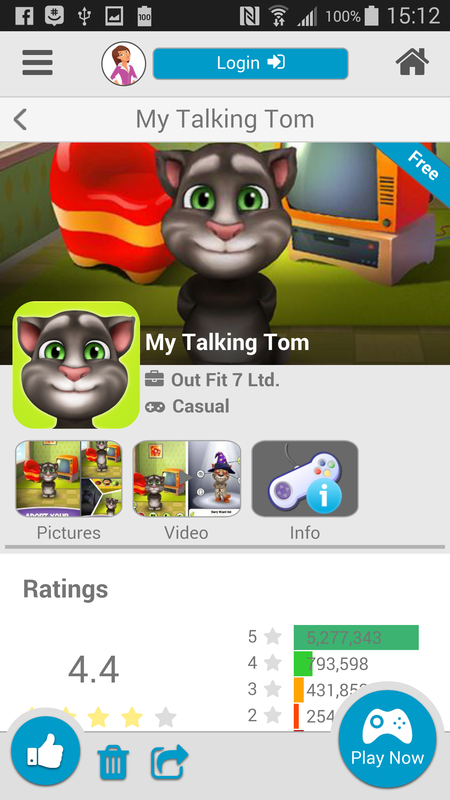 I do like simulation games, but I’m quite sure I’m into Talking Tom‘s aesthetics. Nevertheless there are some decent recommendations: I had forgotten about Dumb Ways to Die which I’ve played on someone else’s phone but haven’t yet downloaded. I was also recommended Don’t Tap the White Tile which is a speed-based game similar to Doodle Jump, but more simplistic. For those who want to find new games without looking to friends or Google for recommendation, The GameOn Project is a neat tool to find different content. The interface isn’t the freshest, but for kids and older audiences, the large photos and fast results are likely to be the draw.